Unloaded Vehicle Weight 1250 lbs. Cargo Carrying Capacity 3050 lbs. You want a tough trailer. One able to handle rough roads. You need a trailer that won't fold under the pressure of a challenging load. 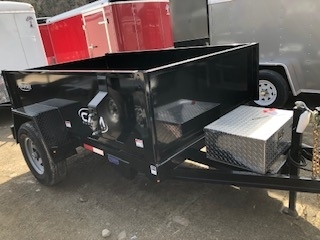 You need a CAM Superline trailer.CAM Superline, Inc. manufactures durable, dependable dump trailers, construction trailers, and pickup truck dump inserts. Built for the long haul, CAM Superline trailers deliver consistent performance today - and for years to come. Not only are you investing in a superior trailer, you're also backed by CAM Superline's knowledgeable service network, superior warranty, and top notch customer service.